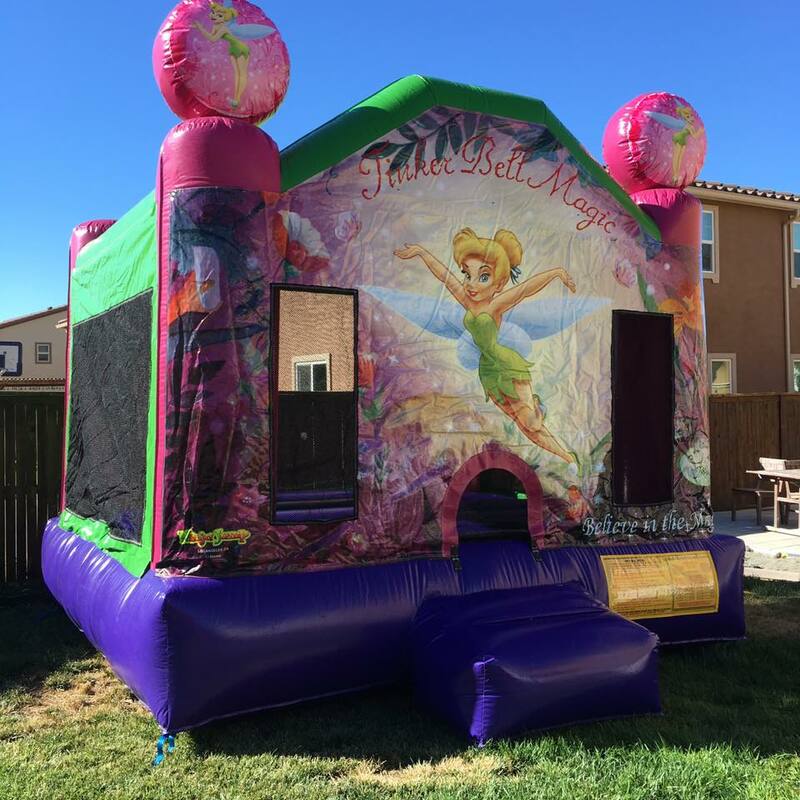 Our Tinker Bell Bounce House rental, is a wonderful addition to all children's parties and events. This bouncy house is the staple of any rental offering hours of jumping and bouncing fun and entertainment. 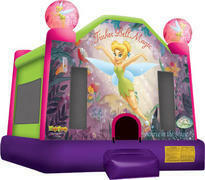 This license Tinker bell jump house will bring the essence of Disney, with a little pixie dust, to your next festival. This jumper is a great way to promote an entertaing form of fitness for kids. The Little Mermaid Bounce House rental has a large enclosed bouncing area 13 feet by 13 feet. It stands 15 feet tall and overall the length is 16 feet.